October 12, 2018 (Joseph Thomas - NEO) - The United States was exuberant after its proxies took power in the Maldives during the September 24th elections. Ibrahim Mohamed Solih of the Maldivian Democratic Party (MDP) came out with 58% of the vote over incumbent, President Abdulla Yameen. The people of the Maldives (turnout: 89%!) showed extraordinary bravery in ousting their repressive president at the ballot box. They join Ethiopians, Armenians, Malaysians &amp; others in making clear the enduring power - and necessity - of democratic values. The American media also did little to hide its excitement, and linked the victory directly to a wider US-led effort to set Beijing's regional influence back. On Monday President Abdulla Yameen conceded defeat to Ibrahim Mohamed Solih, a longtime member of parliament. Some 90% of eligible voters turned out. Mr. Solih won with 58% of the vote after promising to restore democracy and improve relations with the West. He also vowed to take a harder line against Chinese investment. Alarmists say climate change means the Maldives will be underwater soon, but predatory loans could drown the nation’s finances first. China began investing heavily in the country’s public works in recent years. A 2017 International Monetary Fund report found that its debt-to-GDP ratio “rose nearly 11.5 percentage points from 2014-16.” Its external debt could hit 51.2% of GDP by 2021 thanks to Chinese projects. The IMF says servicing this debt will cost about $92 million a year for four years, while the government takes in only about $1 billion a year. It is interesting that the Wall Street Journal cites the IMF, a Western-dominated financial institution notorious for its own debt traps, debt traps nations were placed into minus the tangible public works China is building across Eurasia. As for claims that the Maldives have turned "back toward democracy," nothing could be further from the truth. The victorious opposition party, the Maldivian Democratic Party, is headed by former Maldives president, now fugitive Mohamed Nasheed. Nasheed had been president from 2008-2012. He was forced to resign after being charged with terrorism. In 2015, he was finally convicted and sentenced to 13 years in jail. After significant pressure from the West, the Maldives allowed Nasheed to travel to the UK on grounds of receiving medical treatment. 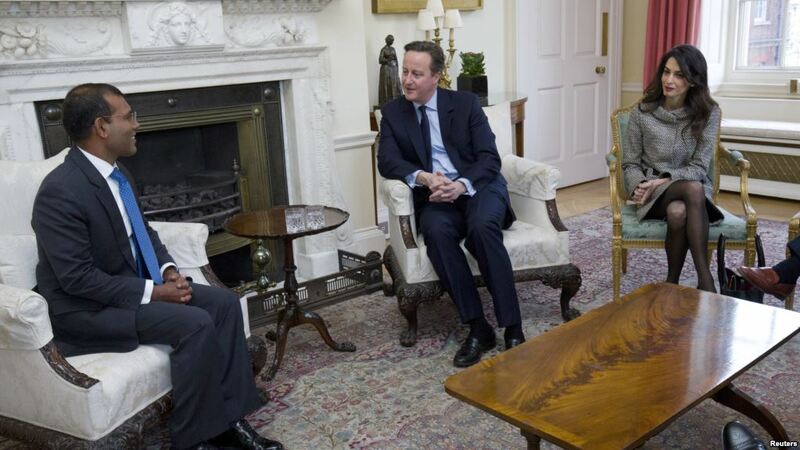 Nasheed was subsequently granted asylum by the UK government and has worked to return himself to power ever since. Many reports across the Western media categorically (and likely intentionally) fail to provide details regarding the charges and convictions. This is because the details tell an astounding story of Western hypocrisy and reveal America's proxies in the Maldives as being as repressive as they've claimed their opponents to be. A government statement said the judge, Abdulla Mohamed, had allowed "his judicial decisions to be determined by political and personal affiliations". The arrest comes after he released an opposition leader who had been detained for allegedly defaming the government. Opposition [to Nasheed's government] activists said that the arrest was in retaliation for the judge ruling that the detention of opposition leader Mohamed Jameel Ahmed one day earlier was illegal, AP news agency reported. Mr Ahmed had been arrested for allegedly defaming the government in a television interview. In other words, America's "pro-democracy" ally in the Maldives, had jailed an opponent for merely criticising his government on television, then jailed the judge who ruled the imprisonment illegal. 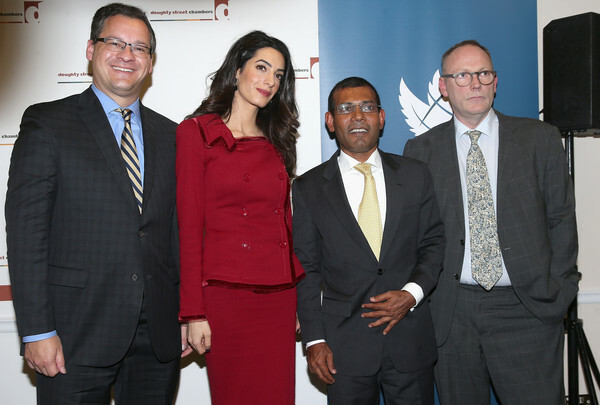 Nasheed's repression is precisely what the US, UK and their virtual army of supposed human rights organisations had used as a basis to label Yameen's government as "repressive." While the Western media has hardly made it a secret that Nasheed and his Maldivian Democratic Party are Washington and London's proxies in a power struggle with Beijing, some of the details of Nasheed's escape to the UK and his activities there since provide greater context to American meddling in the Maldives, contradicting any remaining notion that recent elections had anything to do with democracy. With his health deteriorating, he managed to find exile in London with the help from international lawyers Jared Genser, Amal Clooney, and Ben Emmerson. He continues his tireless efforts to promote democracy in his homeland and is now poised to pursue presidency again in his beloved homeland. The National Endowment for Democracy (NED) is openly Washington's primary means of influencing, infecting, coercing and even overthrowing political orders in an industrialised process of global meddling. Genser's Freedom Now is one of many organisations working in parallel with the NED, and is funded by many of the same government and corporate foundation sponsors. NED, its subsidiaries and affiliates operate in scores of nations around the globe, openly funding media fronts, lawyers, supposed rights groups and even entire political parties aimed at creating first vectors for US influence within targeted nations, before incrementally overwriting and eventually overthrowing the local institutions and political orders of these nations. Amid any political conflict grabbing headlines around the globe, by simply following NED funding, America's role in creating or taking advantage of chaos can be quickly ascertained. A party like MDP run by an open proxy of Western interests, hiding in London flanked by international lawyers and lobbyists including Genser with links to the National Endowment for Democracy, has nothing at all to do with democracy. 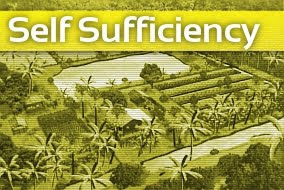 Democracy first and foremost entails self-determination. A party run by and for foreign interests is precisely the oppose of self-determination and could not be further from true democracy, no matter how much people like Samantha Power insist otherwise. The contest for power in the Maldives is one of great powers, India, China and the United States, and lesser powers like the UK, struggling for influence over the geographically strategic island nation. It is not one of "ideology," or of "repression" versus "democracy. " It is clear that Nasheed and his party are as bad as they've claimed their opponents are. Double as bad considering Nasheed's hypocrisy and his servile dependence on Washington and London to provide him with a political future. 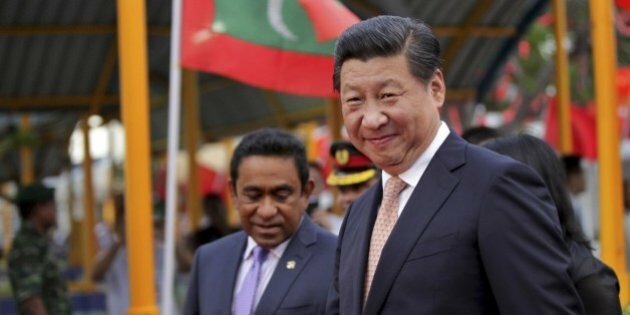 The Maldives would be best served by a foreign policy that favours neither the US nor China, but attempts to build balanced ties with all nations to serve its own best interests. While there are doubts the previous government was committed to such balance, it is certain Nasheed's proxy government now coming to power is not. The future of the Maldives will continue to see this power struggle play out. China has exhibited supreme patience, confident that its successes elsewhere will bring even the most stubborn proxies of Western power over to Beijing's side. For Washington, it must struggle to maintain proxies like Nasheed in power, continuously cover up the hypocrisy his party will again undoubtedly indulge itself in, as well as attempt to foil Chinese progress elsewhere in the region and around the globe. One of these great powers has a sustainable regional strategy. One does not. It takes little geopolitical acumen to determine which is which.